Cannoli are a Christmas tradition at our house. I buy the shells from a local bakery, but stuff them myself. 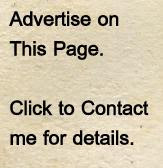 The end product seems pretty fancy for something that only takes a few minutes. (4) Process the ricotta cheese in a food processor to smooth any chunks. Add the mascarpone cheese and mix together. (5) Transfer the cheeses to a medium sized bowl and mix in the powdered sugar and a few tablespoons of the chocolate and a few tablespoons of the cooled nuts (the total amount is really to your tastes). 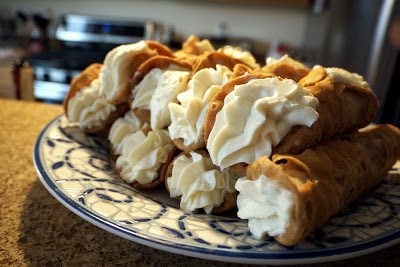 (6) Using a pastry bag, fill the cannoli shells from each end with the cream.